It's our pleasure to give you complete access to the admin dashboard and 3 free reports for you to experience the VIQ for yourself. This is a no obligation, fully featured free trial with complete support and as much help as you need. Available to Australasian schools, universities, counselling organisations, career and psychology practices. info@myfuturecareer.com.au to be set up with an account. 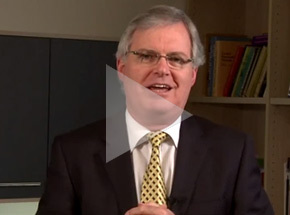 Australia's first career guidance report... and still the best! Only pay a low fee for each student tested. No minimums. No setup, support or maintenance fees. Save money with the VIQ. Web based. No software to install and manage. Only takes 15 minutes to setup and learn how to use. Plus unlimited customer support and friendly hand holding! Dovetails with 'The Good Careers Guide' and its 7 interest categories making further research and planning more practical and easy. Scientifically proven to provide more reliable career guidance by focusing on interests (not skills) and providing clear guidance on next steps. 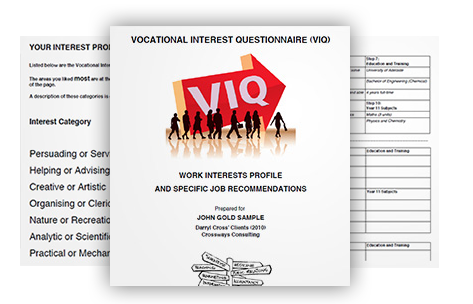 The Vocational Interest Questionnaire (VIQ) is a work interests test used for career guidance for adolescents in particular, in Australian high schools. The Vocational Interest Questionnaire (VIQ) has a number of important features that makes it easy to use for both schools and organisations alike. It's 15 pages. Provides an Interest Profile across the 7 main areas of work interest + explanation, Jobs Recommendations & Career Action Plan. The question is often asked by career counsellors as to WHY we would test in vocational interests as a first step in the career guidance process. The Vocational Interest Questionnaire is scientifically tested and based on real research. Click the links below to read more about the test. To read more about the VIQ and find out why the VIQ is suitable for your School, download the brochure by clicking the link below. 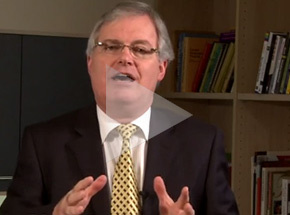 Are you a school, university, counselling agency, careers or psychology practice? It would be our pleasure to give you complete access to the administration dashboard and 5 free reports for you to experience the VIQ for yourself. Give us a call on 0450 202 351 or email us on info@myfuturecareer.com.au to be instantly set up with an account. MyFutureCareer.com.au is intended for staff & consultants who wish to buy multiple VIQ reports for their organisation. For individual VIQ reports, visit FindACareerPath.com. The entire process of performing the VIQ test is explained with detailed screenshots. Its easy! As Australia's first careers test & the first to go online, the VIQ is proven with over 100,000 students. © 2019 MyFutureCareer.com.au and Crossways Consulting.